Day numero four! And we’re not slowing down. 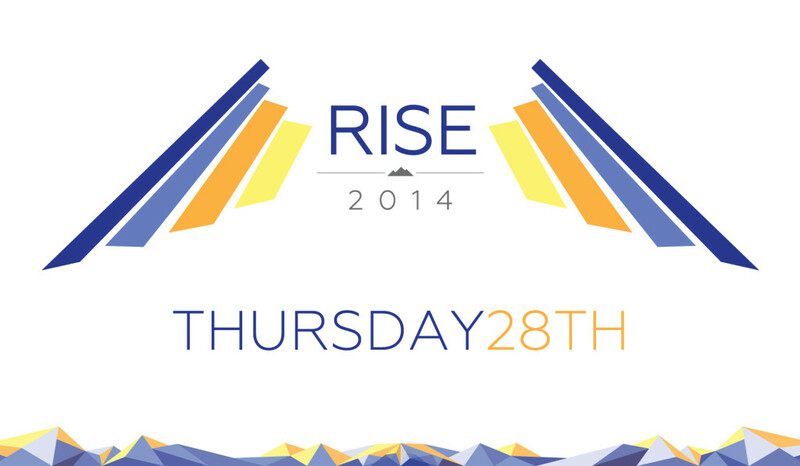 Thursday, August 28th, we have another day full of amazing events planned for all of you all. As all previous days, start off your morning right, grab some food, and register for Orientation! If you registered, before you can go straight to join your group in the Kerr Quad. If today’s your first day head over to Gould St and you’ll be registered into a group of fellow incoming students to experience the fun O-Week events! You will be led by some of our inspiring orientation leaders – members of our Ryerson Orientation Crew or ROCs – who are upper year students volunteering their time to help you join the Ryerson community. Breakfast is provided free of charge. Note: Please have either your Student Number or Ryerson Email ready. Yes, I am repeating this gif because of how tasty those pancakes look. Don’t worry. When I heard of this, my first reaction to was: what in the world is that? But picture this: combining numbers, letters AND exercise? It’s all possible with this new fitness craze led by an instructor from Ryerson Recreation. Instructor can modify activities for participants of every ability. (Activewear suggested). When I say that Dr. Ivan Joseph is an amazing speaker, that is an extremely big understatement. So come out to see Dr. Ivan Joseph, Ryerson’s Director of Athletics give an inspiring and motivating talk that will introduce you to the adventure you’re about to embark upon and teach you how to become a true Ryerson Ram! I can personally guarantee that Dr. Ivan Joseph’s speech is not something you will want to miss. Go check out Dr. Ivan Joseph’s Ted Talk on youtube.com, it has over 2 million views! This event is open to all parents and family members of Ryerson’s new students. Professional staff will facilitate a session about the university experience and how you can best support your family member during their time at Ryerson. Learn about programs and services that can help them succeed as well as ways that you can navigate the changes in your life as they head to university. Light refreshments will be served. Click here to find more information about parent and family orientation and to RSVP. A BBQ on Gould Street is the best option for your lunch on Thursday! Donate a toonie or a canned food item, and receive a delicious BBQ meal in return. All donations will be given to the RSU’s Community Food Room. A great price towards a great cause for some amazing food. Need I say more. First generation students are those whose parents did not attend post secondary school. This lunch and learn, facilitated by Ryerson’s Trimentoring Program will bring students together who identify as first generation so they can learn about the resources and meet other First Generation incoming students! Is it a trick of the eye or true magic? You’ll have to come see your yourself as illusionist Nathaniel Rankin dazzles the audience with his performance and even invites some students on stage to help him out. Will he show some wizardry like this? Come out and see! Do you love live performances from local bands? Take a stroll down Gould Street and enjoy some of Toronto’s up and coming artists. Who knows: maybe we booked the Boyz in Motion, because I hear that they’ll give you their devo-tion (pun intended). Will you be 21 by December 31, 2014 this year? Have you been away from formal education for at least 2 years? Then you this event is for you: the Mature Students’ Evening! This event is a time and space where you can network and learn about the resources on campus that can make your university experience successful and enjoyable. Light refreshments will be served. Click here to RSVP for this event. At this annual event brought to you by the Ryerson Students’ Union, you can party the night away with the class of 2018 at Ryerson’s Ram in the Rye. There will be black lights, big tunes, and good vibes! See you there! Previous ArticleWin Your Own #LGG3 This Orientation!Next ArticleWin a Nikon D3300 DSLR at RISE2014!